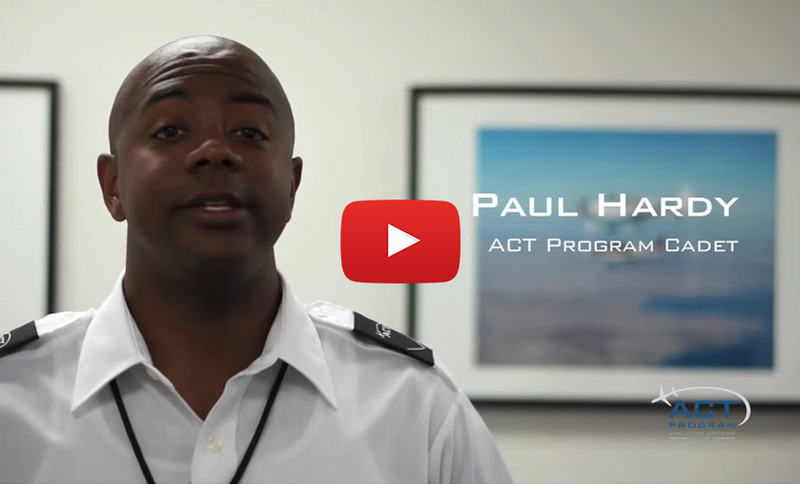 The ACT Program is a 21-month college aviation degree program. Through industry expertise, we've created a preeminent curriculum at our pilot school set up for optimized airline pilot training. If you want to be an airline pilot, our Airline Career Training (ACT) Program provides a clear and distinct path to the Captain's seat. As trusted partners to many airlines, Coast is able to offer interviews for employment prior to completion of training. Many of our students receive a conditional job offer during training. Meaning as soon as they complete their flight training, they have a job waiting. 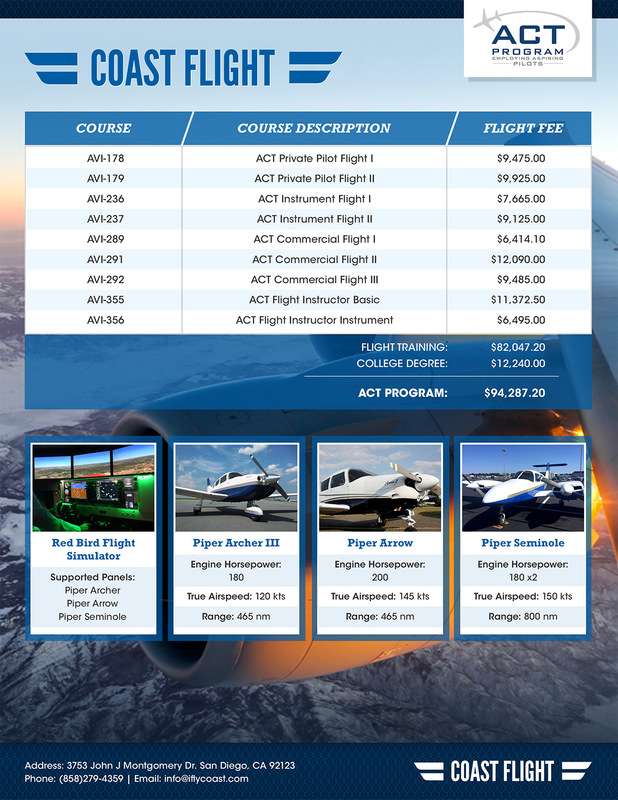 Above Pricing Includes: Online Courseware, Student Materials, FAA Written & Practical Tests as well as FAA Practical Aircraft Rental Fees. Coast has partnered with Indian Hills Community College to provide an Associate's Degree in Aviation Pilot Training for prospective pilots. The aviation courses that comprise this accredited online degree, offered by Indian Hills, can be completed concurrently with your Flight Training at Coast. Once you complete your required flight ratings, you may work as a Commercial Pilot while furthering your online education anywhere in the world. "In 21 months you can graduate this program and be fully employed"
Coast has partnered with Indian Hills Community College to provide an Associate's Degree in Aviation Pilot Training to prospective pilots. The accredited, online degree, offered by Indian Hills, can be completed concurrently with your Flight Training in San Diego. Once accepted to Coast Flight Pilot School, you can apply to Indian Hills Community College for aviation courses. While progressing through your flight training with Coast Flight, you can earn an accredited associate’s degree fully online through Indian Hills. When you want to pursue a career with the airlines, it’s important to get the right flight training from a leading pilot school. At Coast, our Airline Career Training (ACT) and Airline Direct (AD) programs offer a clear and distinct path to the Captain's seat. Our airline partnerships and years of experience training pilots for the airlines mean that Coast students get the distinction of being awarded the largest number of conditional job offers in the nation. Pick your flight training pace, earn your college aviation degree, and make your way to a career in the skies. 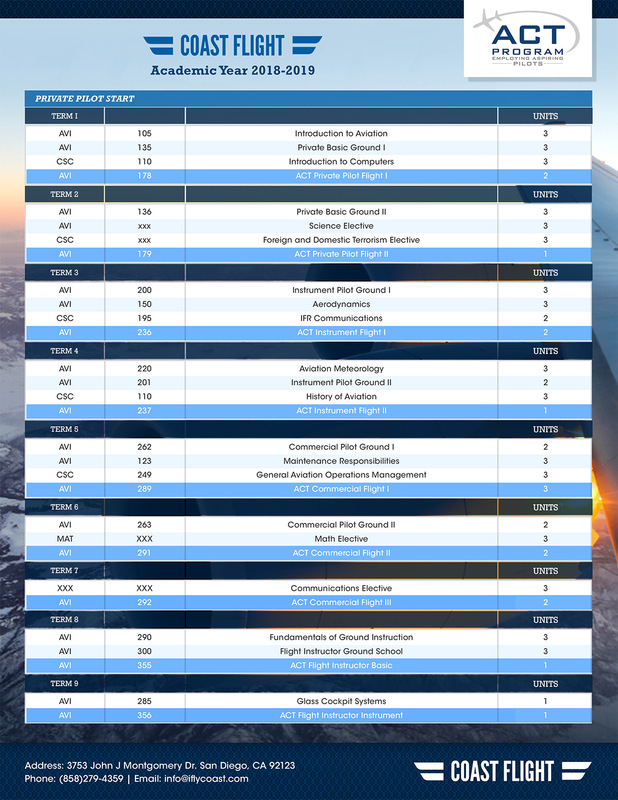 LEARN ABOUT A CAREER WITH THE AIRLINES! Interactive Prospective Student Portal Will Teach you Everything you Need to Know! 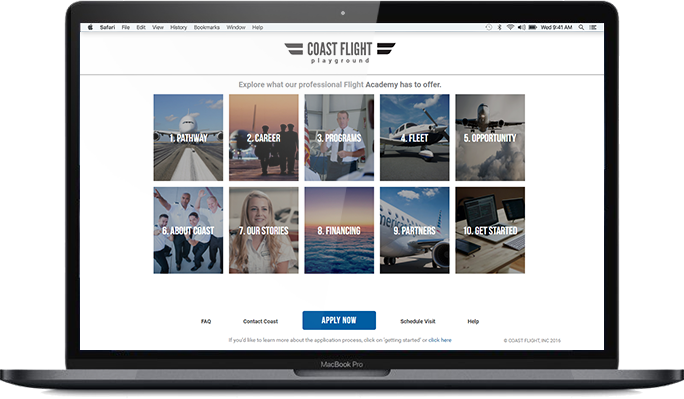 At Coast Flight Training our students have access to various forms of financial assistance for both pilot school and their college aviation courses. Students enrolled in the ACT Program through Indian Hills Community College may qualify for both subsidized and unsubsidized aid including; Pell Grants, Sallie Mae and Private Loans.